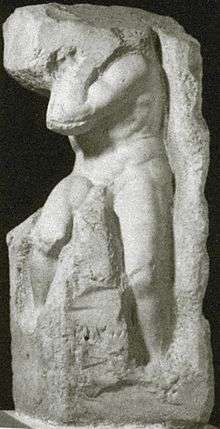 The Atlas Slave is a 2.77m high marble statue by Michelangelo, dated to 1525–30. It is one of the 'Prisoners', the series of unfinished sculptures for the tomb of Pope Julius II. It is now held in the Galleria dell'Accademia in Florence.